The EuroSafety staff is a collection of some of the finest individuals in their respective fields. We pride ourselves in everything we do. From the simple correspondence, to scheduling classes to the relaying of imperative knowledge and skills to the pilot community our consistent goal is to be the best. Glen originally learned how to fly in the South of France in a Bell 47, an aircraft where the full down autorotation was just a normal maneuver. Within his career he has been a Bell 212/412 instructor at FlightSafety, flew Naval support for the Aegis Program, was a tour pilot in the Caribbean, flew EMS in a variety of airframes which included high altitude mountain rescues and was an instructor/factory pilot at Eurocopter. Starting EuroSafety in 2004 with a passion to change how the industry trains pilots, he continues to this day to innovate the learning process. Starting his flight career in 1987 California, Roberto spent his early years as a flight instructor in the Caribbean island of Puerto Rico. He then relocated to the Virgin Islands where he eventually became the Chief Pilot for a company that was contracted by the US Navy. After 10 years of government contract flying, Roberto returned to the mainland where he was hired by American Eurocopter and worked for many years as an Instructor and Production Pilot. He was then hired as EMS pilot flying a Sikorsky S76 for Dallas Children Hospital and at that same time started, along with Glen White, the company that is now known as Eurosafety International. Roberto divides his time between his family, Eurosafety and flying a corporate H145 for a yacht overseas. As President and CEO, Jeff oversees the execution of our overall objectives and coordinates our efforts with the FAA and other regulatory commissions. Traveled and elusive, you'll see him at any number of helicopter events each year with his trusty sidekick. His experience as an executive, technology and business efficiency expert continue to keep our bearing and track aligned. Director of Operations doesn't begin to cover Annette's orchestration of Eurosafety. Simply put, without her we have no idea what to do next. With a history of directing the perations of multiple businesses, she's unmatched in assuring operational success. Her tolerance for Type-A pilots comes in handy, too. 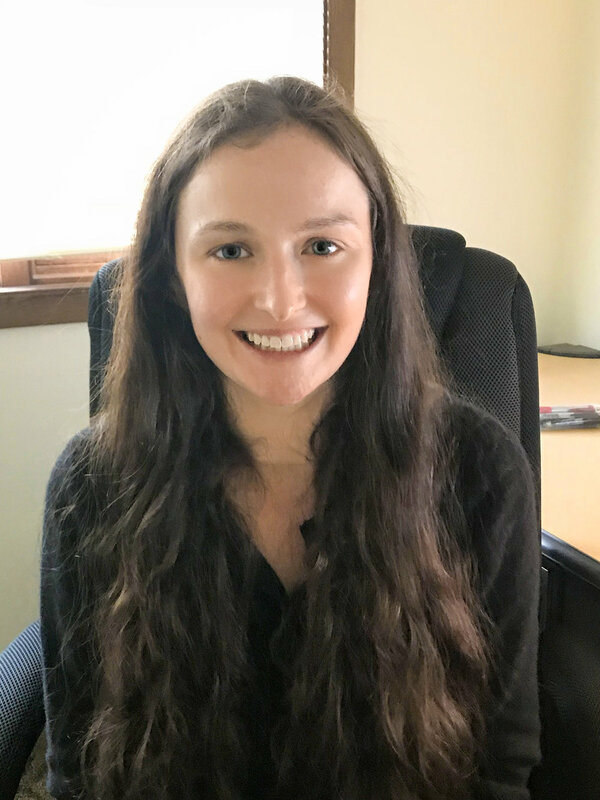 As training coordinator, Alex provides clients with the information necessary to understand how our training process works. Her speedy replies, professionalism and excellent customer service, makes her an irreplaceable asset to our team. Nicolas Bouchard is in charge of Eurosafety's production and distribution or courseware for all of our excellent instructors. When he isn't sending out initial manuals and skid shoes, Nicolas is out instructing on the fixed wing side of aviation as well as working on completing his commercial helicopter add-on rating. Nicolas also has a Bachelors of Science in Economics with a Minor in Business Administration, making him a well rounded and important part of Eurosafety. Luca started his aviation career flying helicopters in Italy in 1990, acquiring the EASA commercial pilot license. Shortly after, he moved to the USA acquiring the FAA ATP/CFII licenses. He had the privilege to work for part 61 and 141 flight schools performing primary flight instruction. For the past 20 years, Luca also served as a part 135 instructor and check-airman for VFR and IFR programs. 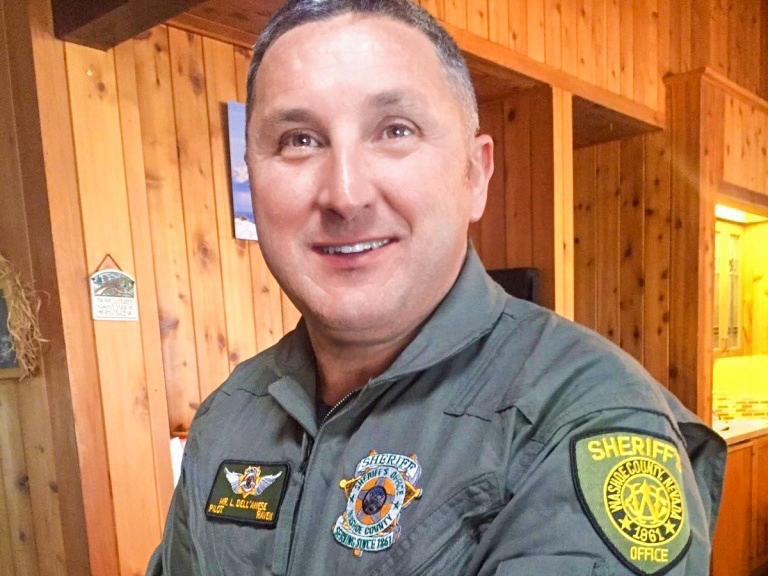 Besides being a flight instructor throughout his career, he's flown tours, corporate, ENG, off-shore, EMS, SAR, Law Enforcement, IFR, mountain flying and has extensive International flying experience. He has flown most helicopters from Robison, Bell, Airbus, Leonardo, MD and Sikorsky. He joined EuroSafety in 2007 and he currently teaches the AS350, BO105, A109, S76, IFR and mountain courses. Domestic and abroad. Licensed as a Commercial pilot and Flight Instructor, Robert started his helicopter career in 1992. He has worked various pilot positions with multiple companies that have included news gathering, external load operations and, more recently, fire suppression. Throughout Robert’s career he has conducted training for numerous pilots and various companies, covering recurrence training as well as new pilots in the field of Part 133 and Fire suppression. Robert has been with Eurosafety for three years where he gets to continue providing the top-level training he enjoys. Robert currently fills in his calendar with additional work that revolves around heavy lift construction with the Sikorsky helicopter. During downtime between delivering various pilot training courses, Robert is a volunteer fire fighter as well as an EMT for his local fire department located in Rhode Island. Brian Petschauer joined EuroSafety as a instructor in 2017. 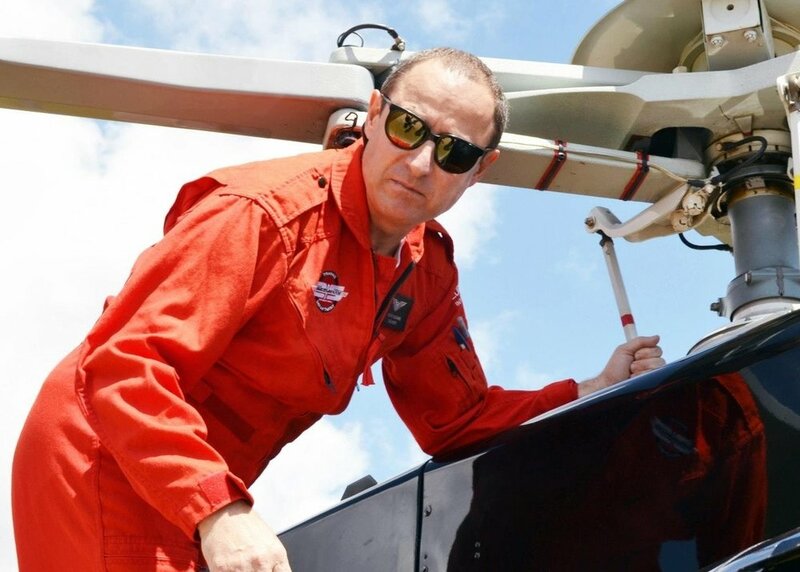 He holds an ATP/CFII in rotorcraft helicopter and is currently the Chief Pilot of Helinet Aviation. Brian has a diverse background in many airframes including B206, B206L, MD500, AS350, AS355, EC130 & A109. Brian has extensive experience in different flying roles including VIP Transport, Organ Transplant Flights, ENG, Ariel Tours, International Ferry flights, and training. He is very passionate about instructing and we are thrilled to have him be part of the EuroSafety Team. Born and raised in LA, Aldo began flying immediately after earning his degree from California State University, Long Beach. In 1990, Aldo obtained his Commercial and Instructor ratings. His experience since then has been wide, varied and extensive. His experience as Chief Pilot, Corporate Flight Instructor, member of the Robinson Helicopter’s Safety Instructor team, instructing pilots around the world, building an AS350 training program from scratch and building a flight program that puts students in real-world environments gives him a talent and perspective that our students greatly benefit from. Currently, Aldo is Welk Aviation’s Chief Pilot and Chief Flight Instructor. With well over 10,600 hours, his experience also includes utility flying, production, radio, television news gathering, and charter flying. Alex started flying at the age of 17 right after graduating high school. A CFI by 19, he's trained over 40 pilots, all with a 100% pass rate. At 22 he started flying tours in Las Vegas and the Grand Canyon flying EC-130s and AS-350s. After that, Alex flew was an ENG pilot in LA for over five years and became a pilot reporter for a local LA news station. Currently Alex is working full time as a film pilot in the motion picture industry. He mostly flying the H-125 and a Bell 429, both of which are used for film flying. He loves all aspects of being a helicopter pilot, but also has a true passion for flight instructing. Michael is a helicopter and jet pilot with over a decade of experience in commercial and private industry in the New York area. He has held many roles in aviation management throughout his career including Safety Officer, Director of Training, and Director of Operations. Michael has experience in a variety of aircraft including AS350 (BA, B1, B2 & B3), AS355, AS365, EC120, S76, EC135 & H145T2. Michael received his training from northeast helicopters in Ellington Connecticut. Eric Tremblay began flying seaplanes and helicopters commercially at the age of 18. He is an Airline Transport Rated fixed wing pilot current on CL415 Heavy Waterbomber as well as various light airplanes. He has flown the Bell 206, 204, Airbus AS350 and EC130 aircraft in various missions including, SAR, Medivac, Law Enforcement, Fire Suppression, Animal Capture and NVG for nearly 30 years throughout the Canadian North. He is a certified flight instructor specializing in Airbus EC130 and AS350 variants as well as a Transport Canada Approuved Check Pilot. In his day job Eric is the Chief Pilot for the Province of Ontario OMNRF.